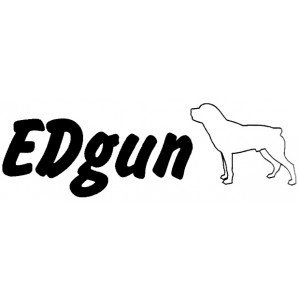 Established in 2005, the EDgun company quickly came to international attention due to the streamlined design and engineering that went into the company’s air rifles. Eduard, the founder of EDgun, a hunter and shooter quickly recognized the need for an air rifle that was compact, durable and was a joy to carry during long days afield. The first Matador bullpup was met with immediate approval of air-gunners. His designs revolutionized the airgun market and as a result many manufactures today have followed with their own rifles based on Eduard's bullpup concept. Today the tradition is continued with the EDgun PCP bullpup rifle combining accuracy, durability, fit, finish and special features not commonly found on other air rifles. Often copied but never duplicated.